Hello everyone! 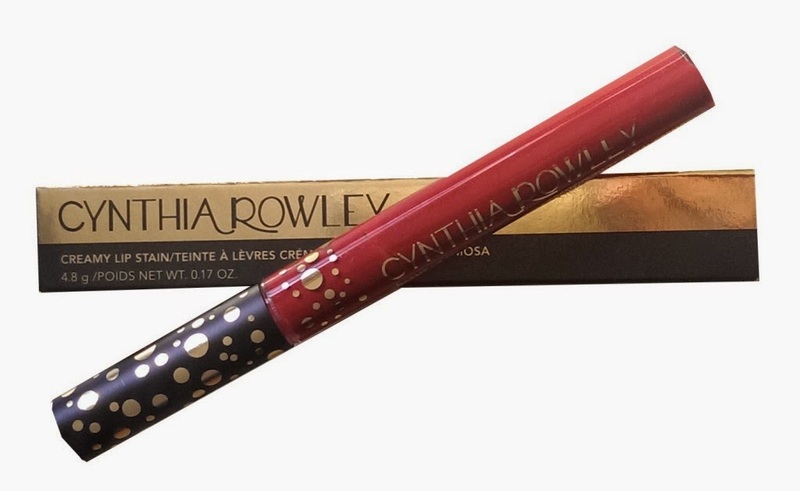 Today I am reviewing the Cynthia Rowley Beauty Creamy Lip Stain in the shade “Heartthrob” for you. I received this in my February Birchbox but you can purchase it in the full-size for $20.00. I originally thought this was going to be a very pigmented red color. What it actually was was more of a coral red shade and I had to apply about three coats of this for me to get the pigmentation I wanted. I will say though that it has a creamy texture and seems moisturizing. I decided to test it out by wearing it to dinner. As you can see in the pics below.. the majority of the color especially in the middle faded away. I think of this more of a lipgloss than a lipstain and wouldn’t recommend it if you are looking for staying power. If you want a product that will last through anything get the Maybelline SuperStay 24Hr 2-Step Lip Color– It’s insane and much cheaper!